If the thought of sunning yourself on a natural boulder appeals to you or you like the look of natural elements to bring large scale interest to your landscaping then we have the elements for you. bench. Top is available with a natural, polished or tile finish. 75” long, 22” wide, 18” high, about 300 lbs. 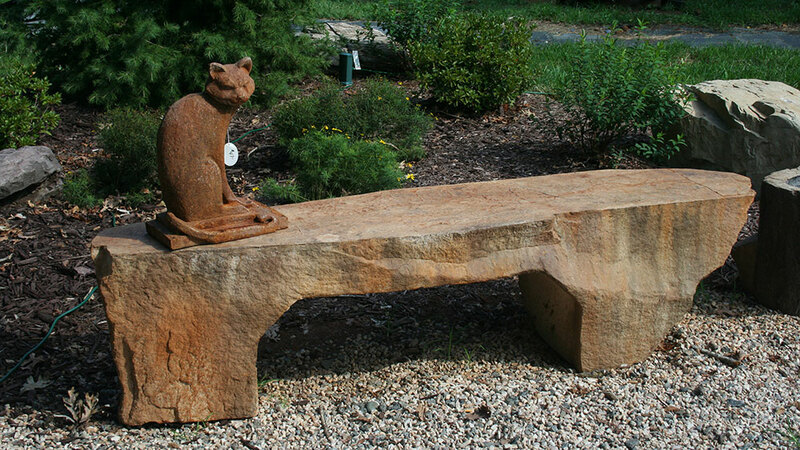 Molded from a small logs originally carved out to feed farm animals, the concrete versions can work the same or used as a planter or fire element. 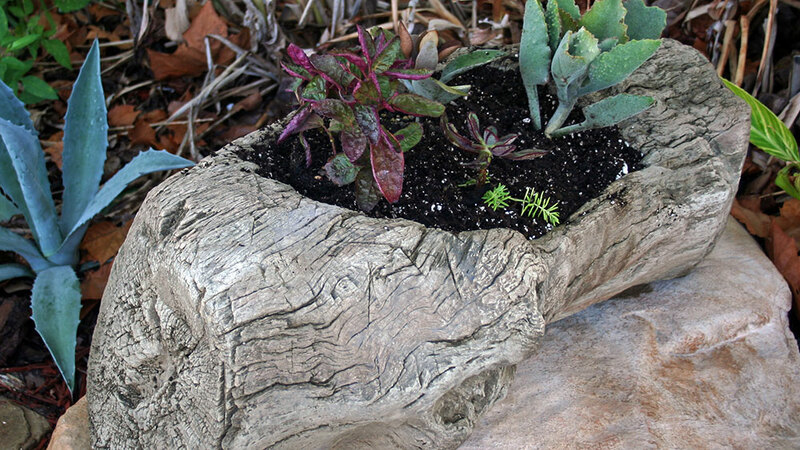 The smallest of the Driftwood Planters at 28 inches long. The mid sized planter sits at 40 inches long. 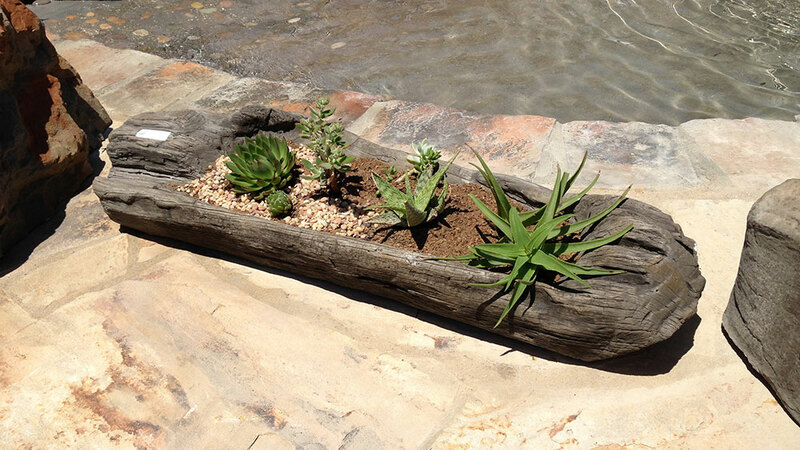 At 45 inches long this planter easily accommodates a fire line insert. 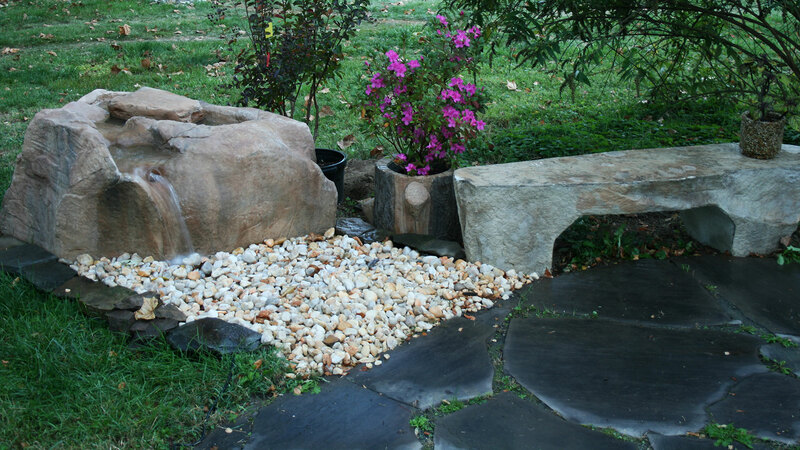 incorporate boulders into the landscape, along your pool or incorporate into one of our waterfalls to expand the look and grandeur of your Out Back Elements. 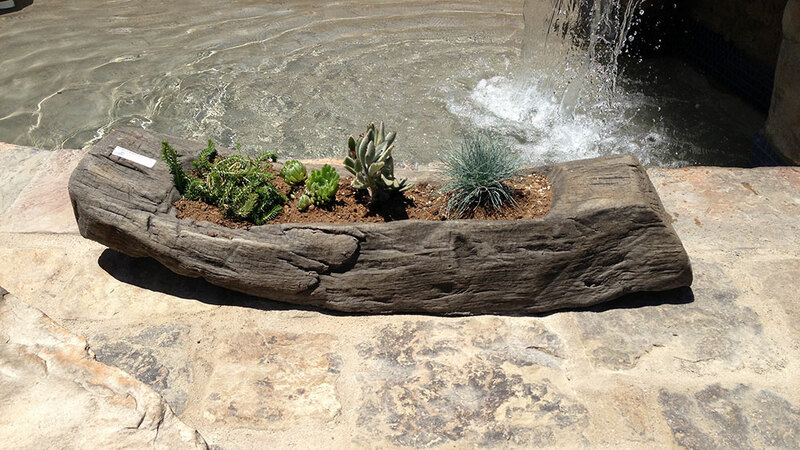 These cast boulders look great on their own or combined to make a statement. 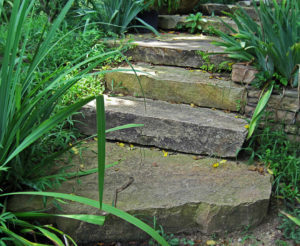 Lead your guest to your Out Back Living space through a series of natural stone slab steps. Talk to one of our dealers today to see how your Out Back living space can be enhanced with an element of nature.